Millennials will be our next great generation of leaders. Today, however, as they move into management, they face difficult practical challenges. Millennials Who Manage is a complete, research-based guide to overcoming those challenges, delivering outstanding performance, and getting recognized for it. It’s dangerous to paint entire generations with the same brush; some tendencies or narratives can quickly become exaggerated. On the subject of Millennials and leadership, two conflicting stories often emerge: the first, that Millennials want a fast track to leadership roles without being willing to pay their dues; the second, that Millennials are not willing to accept the sacrifices — working long hours at the expense of family — expected of leaders. A recent global study by France’s INSEAD shows that some of these narratives are misleading. According to the study, based on interviews with thousands of Millennials in 43 countries, 70 percent of the Millennials considered becoming a leader “important” or “very important,” and nearly 64 percent said they were willing to work longer hours and have more stress for the opportunities to be leaders. While past studies and books might focus on Millennials in their role as future leaders, a new book declares that the future has arrived. 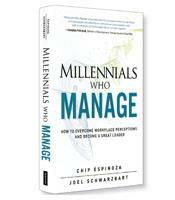 Millennials Who Manage: How to Overcome Workplace Perceptions and Become a Great Leader, by Chip Espinoza and Joel Schwarzbart, is written for and not about Millennial leaders and managers. Step by step, the authors lay out the challenges and best practices for Millennial managers already in leadership positions or preparing for the next step. The authors use their own surveys and research as sources for their prescriptions. Because of their youth, Millennial managers immediately face unique challenges. According to the authors’ survey, not being taken seriously, getting people to listen, and navigating changes in relationships with peers are among the challenges most cited by Millennials transitioning to management positions. Another challenge for Millennial managers is being true to themselves, according to the authors. This is very important to Millennials but much easier said than done. 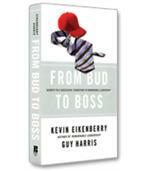 It’s natural for new managers to want to please the boss, for example. However, managers afraid to express their thoughts and opinions for fear of displeasing the boss are not really managing, the authors write. Inevitably a Millennial manager will have a problem with authority figures, and such a disagreement is normal and productive. Authenticity also involves being true to others, according to Espinoza and Schwarzbart. This not only requires words to be consistent with actions but also finding common ground with others. Authenticity for Millennial managers can start by remembering where they come from. Avoiding comfort zones and seeking honest feedback will also help Millennial managers be more authentic, write the authors. Although there will be challenges, the authors are optimistic about the future. As part of their survey, they asked employees to rank their managers on a list of positive managerial attributes (communication, caring, empowerment, etc. ), and broke the responses down by the ages of the managers. They found that the Millennial managers came in first or second in all but two of the nine dimensions. 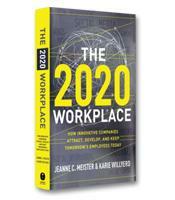 The results were presented in a chapter whose title — “The Reasons You Will Be a Great Leader” — bodes well for Millennials… and their employees. The future is here. This book will help Millennial leaders make the most of their careers.